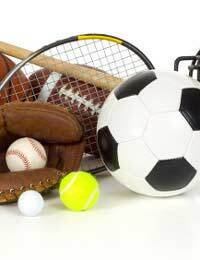 If your child is addicted to all types of sport or not entirely sure which sport fits him or her best, a multi-sports summer camp could be the answer. They will be able to participate in a variety of sports over the course of the summer, and will stay physically active while learning to appreciate specific sports – and deciding that some are not for them after all. What is a Multi-Sports Camp? Multi-sports camps are either day or residential camping programmes for kids where they get to try out and participate in a wide variety of sporting activities. Unlike traditional sports camps, where the emphasis is usually on one sport, multi-sports offer two, three or even more sports per day. Multi-sports camps provide the opportunity for children to both develop sport-specific and non-specific skills. Children attending them get to experience a broad range of sporting activity, while at the same time learning social skills such as leadership and teamwork and building up their confidence levels. Camps can be specialised within a broad range of areas. Camps in the UK offer such diverse camps as ball multi-sport camps, triathlon sports, and tennis-swimming-softball-golf. Camps for younger children can offer a broad variety of games such as parachute games and tag rugby, while also coaching traditional sports such as football and cricket. Even if you have a very sporty child, deciding which sport is preferable for them can require more than just a little experimentation. Every parent has enrolled their child in a specific club, paid the fees and bought the kit, only to discover their child hates it after just two sessions. This is a way to learn about your children's likes and dislikes by trying out a lot of things at once. Multi-sports camps are also great for children who are sports addicts. Some kids just never get enough of playing outside, and need to keep physically active the vast majority of the time. If your child fits into this category, a multi-sports camp could be a godsend – for both them and you! Which Camp or Programme is Best? First, you need to decide whether you want a day or residential programme. Day camps can last up to a month, while most residential camps are for one week or a fortnight. Next, look at your budget. Borough and Council-led programmes are available, as are ones attached to some state schools, which means the fees will be less. Does the camp offer the right mix of sports my child is interested in? Does it have the right ratio of boys and girls? If your daughter wants to attend a football-based multi-sports camp, for example, will she be happy if almost everyone else is male? In an ideal world, camps should put the biggest emphasis on fun, with coaching provided. Is this camp very competitive, too non-competitive, or just right? Does the camp offer anything unusual that your child would not normally have the chance to do, such as regularly visiting a skateboard park or trampolining? Is the camp fully insured, with a good safety record? Is the camper/staff ratio a good one? Are there any parents whose children have attended before with whom you could discuss the camp? Multi-sports summer camps can be great fun for active children, and can encourage those more inclined to be sedentary to get off the couch and get fit. Find one that has sports you know your child likes, or a variety for them to choose from. Making the right choice could guarantee a fantastic summer for everyone.